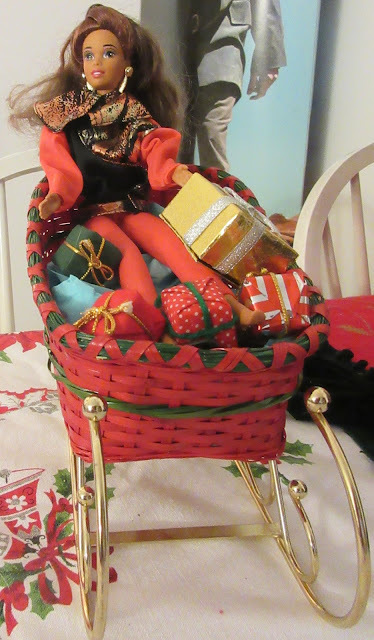 Yes, the ladies gossip about Barbie when she's not around, and yes, Miss America is a bit tipsy. Midge has decorated her living room. I do love those miniature Nativity sets! Asha decides to drive the sleigh. Diva is caring for the reindeer. I set up a slightly different display of Barbie dolls for Christmas this year. 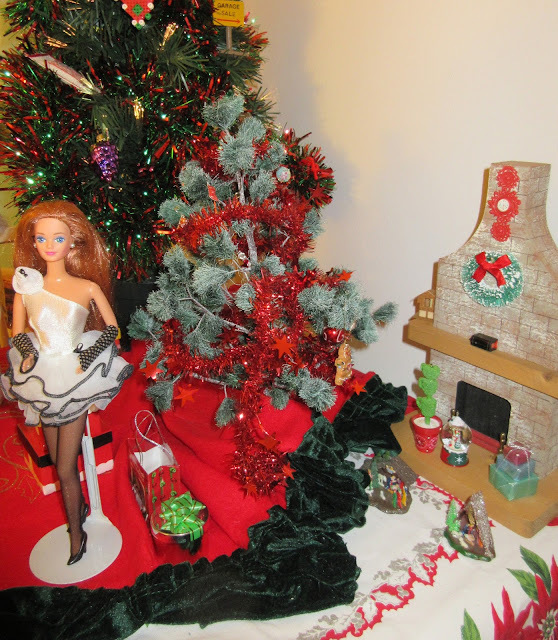 For one thing, Barbie herself isn't included! And there's no sign of my beloved Skipper, much less Ken! 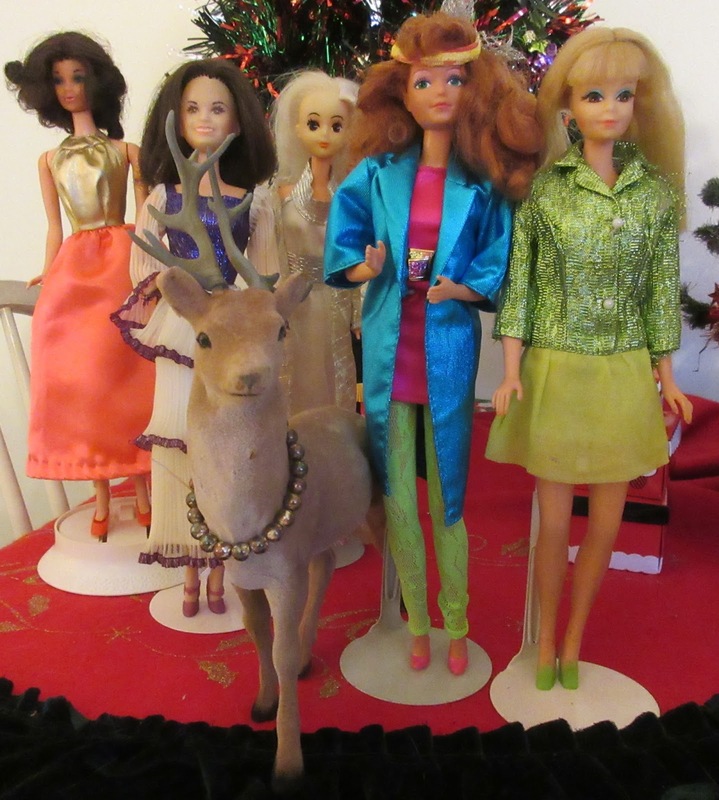 I chose seven Barbie friends to wear shiny dresses and gowns for a Christmas party, and of course, all the dolls and outfits are by Mattel. However, all the other decorations are 1/6 scale items I've accumulated over the years. The most unusual item is, of course, the fireplace, which is actually a number of pieces of kindling that have been cleverly repainted and which I purchased at a craft show years ago. 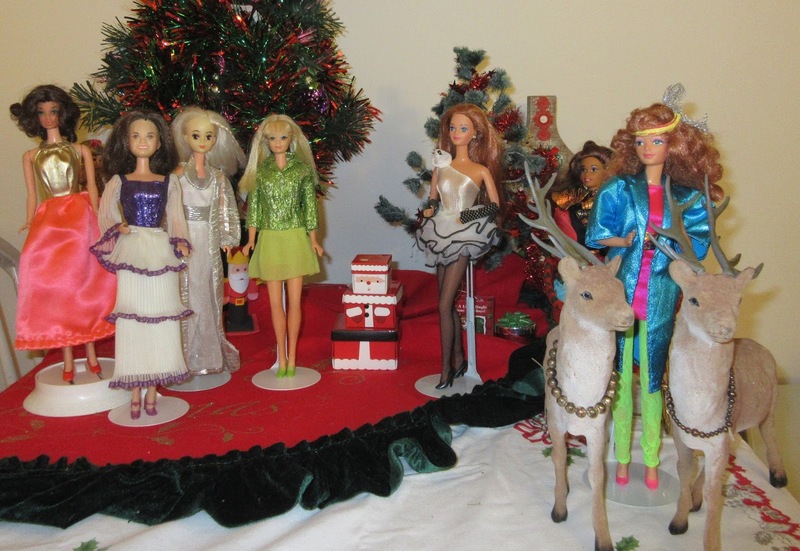 You've seen all these dolls and dresses before, just not arranged like this. The outfits are from three different decades and all have one thing in common--they are SHINY and GLITTERY and very Christmas-y looking!